You're adding a super comfortable Twin XL Bed Topper to your dorm bed to make it as comfortable as can be and forget that you're on a lumpy dorm bed. Do the same for your dorm desk! 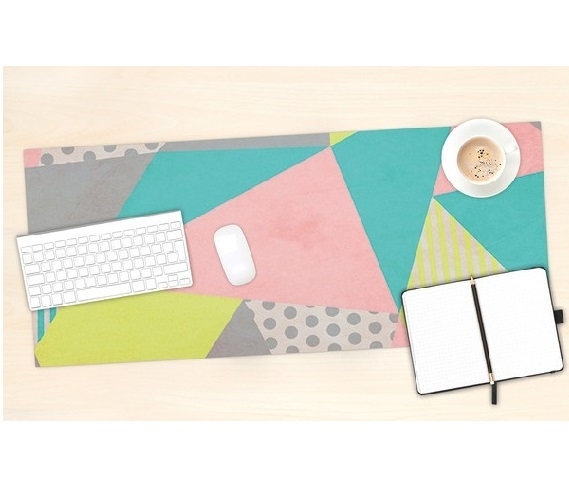 Adding a dorm desk mat to your dorm desk will make it a more comfortable surface to write on. Do you enjoy the way your handwriting looks when you're writing on multiple sheets of paper? Do you like that you don't have to press down as hard on your paper to get your pen ink to look nice? 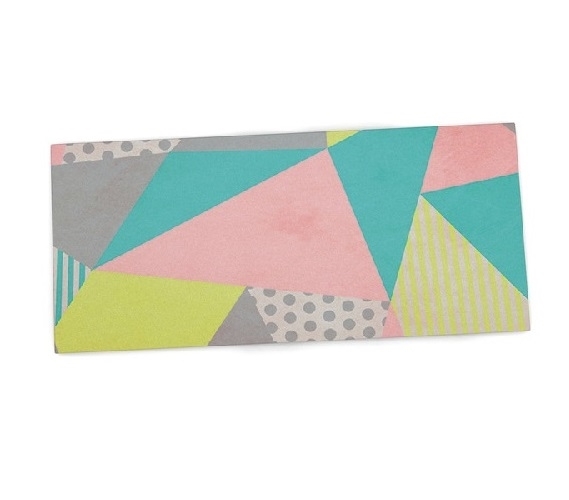 That is the concept behind our Pastel Geo Desk Mat. When you place your homework sheet or college notebook on our Pastel Geo Desk Mat, it is going to be like writing on multiple sheets of paper. It's going to feel a lot better than writing on your dorm desk without a desk pad because this dorm essentials item provides cushioning to your work surface to make it comfortable. Made of soft neoprene, this dorm item is going to hold your college supplies steady as you work and provide cushioning you need to prevent your hand and arm from getting sore and tired from a lot of writing. This college supplies item is going to cover up the scratches, stains and indents from previous college students while preventing new ones from occurring. The bonus? This college supplies item does not just add comfort to your dorm desk, it will also add to your dorm room decor with geometric patterns of aqua, gray,pink, and yellow!